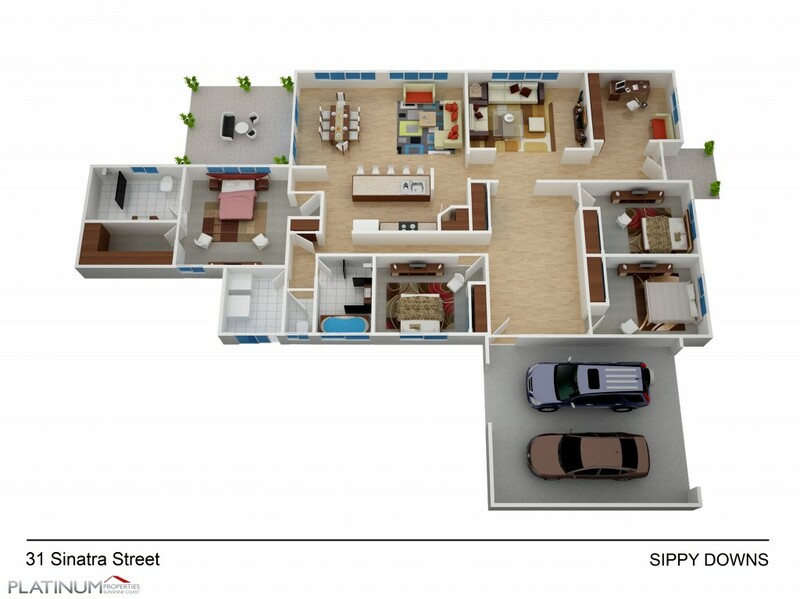 Ideally suited for the family or investor, you will find this one of the best family oriented floor plan available, with study, separate living or media room, family room, master with ensuite and rumpus room connecting bedrooms 2, 3, and 4. Located within the Education Precinct and nearby to the University of the Sunshine Coast. Sippy Downs is home to schools Siena Catholic College, Chancellor State College and a Montessori College. Sippy Downs has been designated as a 'Knowledge Hub' in the Queensland Government's South East Queensland Infrastructure Plan and Program and is master planned as Australia's first University town with the potential for over 6,000 workers in knowledge based businesses with quick and easy access to the motorway and only minutes to patrolled beaches Mooloolaba, restaurants and the new hospital and medical precinct. This property is excess to the owners needs and wants it gone now. Great tenants in place with lease ending 10th November 2017 and currently rented at $530 per week. Perfect for investor or owner occupier!